1. An AH-1Z Viper has recently appeared from Zhengdefu, #M352. Nominally this is 1:72, but they have not cloned or modified one of the existing 1:72 Cobra kits to make this. Instead they have downsized the Italeri 1:48 Viper, but they've managed to do their sums wrong and the result is a kit that scales out at 1:80. The quality is actually quite good, certainly a lot better than their very poorly moulded Apache (a Hasegawa copy) but of course the kit inherits the problems with its Italeri ancestor, for example the engine compartment / rotor pylon is AH-1W-shaped rather than the new AH-1Z shape. The decals too are essentially identical to the Italeri sheet; Zhengdefu's nose-number is 30, while Italeri's is 50 but everything else is the same, right down to the layout on the sheet. Also available from Zhengdefu is an AH-1T Cobra #M353, presumably also 1:80 since it shares some of its parts with the Viper. 2. Anigrand Craftswork is a new company based in Hong Kong. Their second kit #AA-2002 is a 1:72 resin Bell X-22 V/STOL which just about qualifies as a rotorcraft of you're feeling very broad-minded. 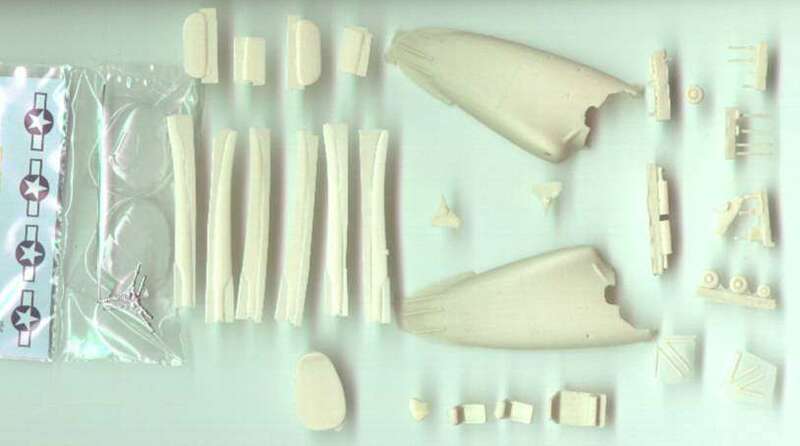 The X-22 kit comprises 41 resin parts plus a vacform canopy in two halves. 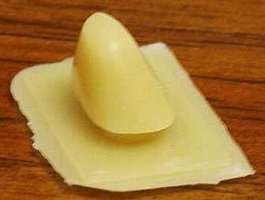 You will also need to contribute a few simple parts made from plasticard and rod. The resin is cleanly moulded with finely engraved panel lines; there are a few bubbles and other small imperfections, but nothing that would trouble anyone prepared to tackle a resin kit. 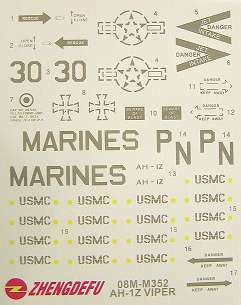 There is also a very nicely printed set of decals for the US Tri-Service prototype 151521. 3. Another unusual subject is the Kellet XR-8, available in 1:72 from LF Models, #7250. The parts are a clear vac-form cockpit glazing in two halves, a length of steel wire for the tail supports, two white metal rotor heads. 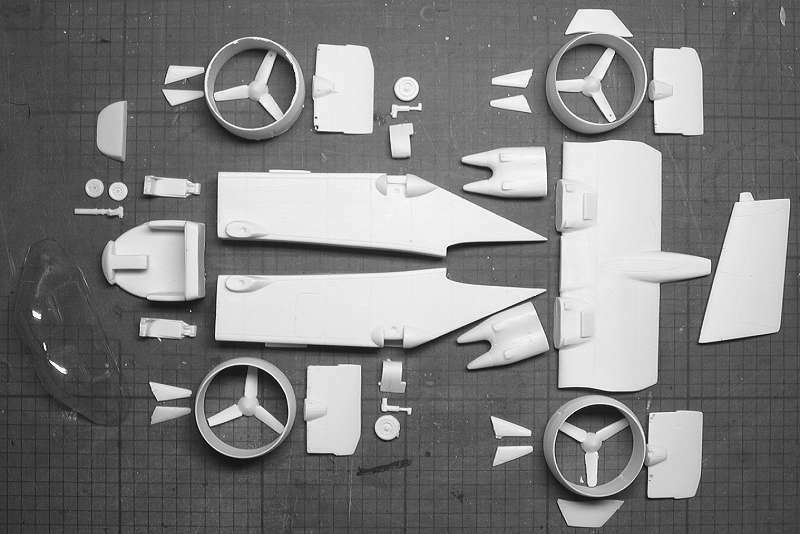 The remaining 41 parts are made of the usual high quality resin, and comprise fuselage halves with very fine recessed panel line, rotor blades, tail members, bulkhead, wheels, floor, seats etc., some of which are very fine and will need to be handled very carefully. 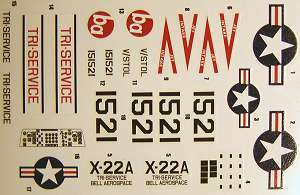 The decals are by Tally Ho; you get four star-bars, and a pair of serials, one for each of the vertical tails. 4. 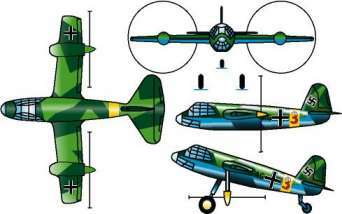 Special Hobby have announced that they will be issuing an injection moulded kit of the Focke Achgelis Fa-269 Helioplane sometime next year. We're not sure of the scale at the moment, but remember that their Fl-265 is available in both 1:72 and 1:48. 5. 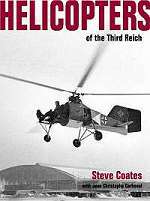 The ideal companion to the Special Hobby kit, among others, will be the long-awaited epic by Steven Coates, "Helicopters of the Third Reich", from Classic Publications. This has now been printed and is expected to be available in time for Christmas. The book can be pre-ordered from Midland Counties Publications (Europe) or Specialty Press (North America). Because of a change of ownership of Classic Publications (now part of the Ian Allen empire), the previously advertised pre-publication offer is off, but the good news is that the recommended retail price has been reduced. Classic Publications are running a competition in which you can win a copy of this book, all you have to do is answer three simple questions. The closing date is 6th December 2002. 6. Trumpeter have published more pre-release pictures of their 1:35 Mi-4. Trumpeter's 1:48 Japanese civil Dauphin #2818 is JA9648, which is operated by the Tokyo Metropolitan Police Department. 7. Revell's first release of 2003 will be a 1:144 CH-53G, #4011, scheduled for January. 8. There is a possibility that Amodel will be releasing a 1:72 KaSkr-2 as well as the KaSkr-1 that has been due from them for quite a while. 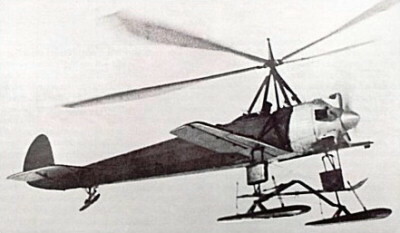 The Kamov / Skrshinsky KaSkr-1 'Red Engineer' autogiro was based on the Soviet U-1 copy of the Avro 504K. 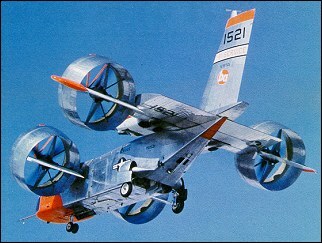 The KaSkr-2 was the same aircraft but with a different engine. 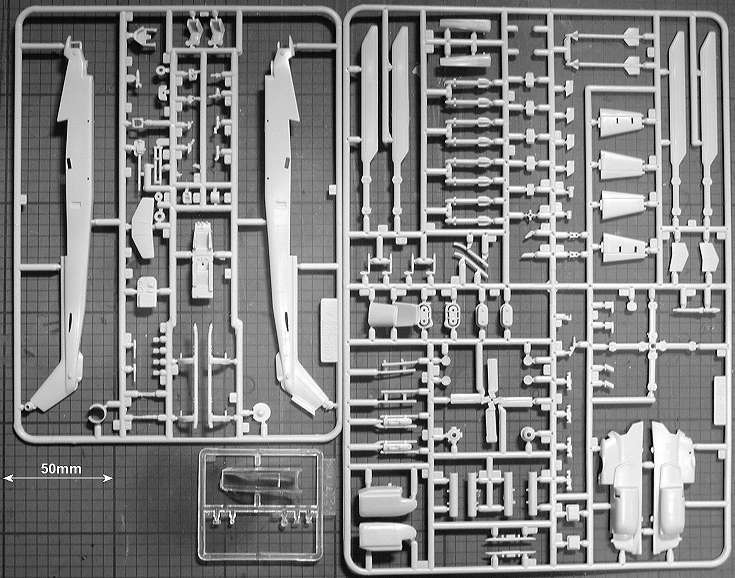 72194 Mi-8T interior vol.1. This appears to be for the cockpit, and includes a set of instrument dials on acetate film. 72195 Mi-8T exterior. Includes window frames, counter-measures dispensers?, and a whole host of other details. 72196 Mi-8T interior vol.2. Details for the cabin/cargo area, including a ceiling and a lot of detail for the inside of the opening clamshell doors. 10. Aztec and IPMS Guatemala have co-operated in the production of a decal sheet entitled "Coin Warriors (Guatemalan Air Force)" that includes a camouflaged Bell 412 and three or four different schemes for the H-19B. 12. Whirlybird's 1:72 Alouette III detail set and float set will be released at Scale ModelWorld 2002 in a few days time, along with 1:48 Sea King decals for both Royal Navy and RAF, as well as some other items. More details in the next HKN. Meanwhile, here are some pictures of their recently released Merlin HAS.1 Sonar (WBA72009) and BK-117 Radar Nose (WBA72008) sets.